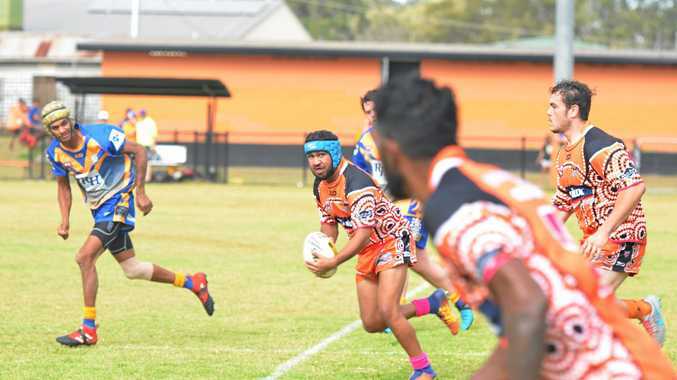 RUGBY LEAGUE: The Cherbourg Hornets have flown into the finals after defeating Murgon Mustangs 44-6 in an unbalanced contest over the weekend. The Mustangs fronted the Hornets nest on Saturday afternoon with just nine players for the final game of the regular season. After a 10 minute sin-bin left them with just eight on the field, Cherbourg dominated play and the game concluded 44-6 at the end of the first half. Murgon Mustangs co-coach Paul Brunjes said Cherbourg stopped converting tries to get more points on the board. "They wanted to beat us 200-nil,” he said. Brunjes said the team expected a hard fight from their rivals. "We knew we were going into the game like that though,” he said. "We have about 25 players on the books, eight injuries and a couple of suspensions. Brunjes said he felt positive heading into the finals. "We're playing Cherbourg at Cherbourg in two weeks' time,” he said. "All the boys are looking forward to that one, we just weren't risking any more injuries this weekend.